Oxford University’s most infamous private society, the Bullingdon Club, is making headlines again after a student reported to be a member set off fireworks in a nightclub.The incident took place last week at a Oxford nightclub called “The Bridge”, popular with Oxford students. 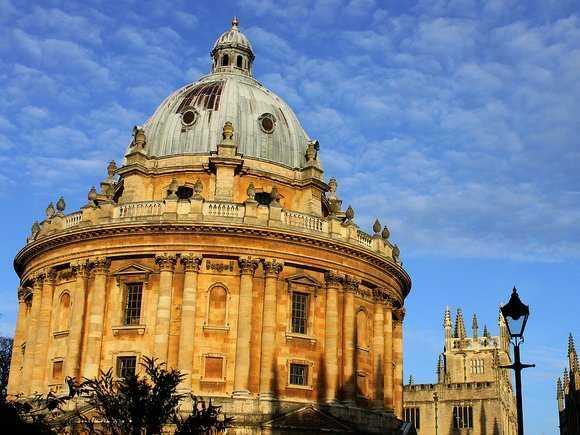 The two men were later identified as Oxford university undergraduates Orme Alexander Clarke and Felix Goodman and fined by police, according to reports. Some history: the club is rumoured to have existed since the 18th century. Today it is known to be extremely small (reports say no more than a dozen members at any one time) and exclusively male. While there is no membership fee, being a member is incredibly expensive because of the club’s two calling cards; formal, tailor-made uniforms, and the ritual of trashing expensive restaurants after extravagent, booze-fuelled feasts (the group pays for the damage on the spot). The society became a household name in the UK after a photo of three of the country’s most important people — Prime Minister David Cameron, London Mayor Boris Johnson, and Chancellor George Osborne — wearing the Bullingdon Club’s elaborate uniforms appeared in the press a few years ago. Clarke and Goodman’s recent fireworks display seems to be par for the course for the club. However, the Oxford Student offered a fascinating glimpse into the club’s initiation process with a quote from an acquaintance of Clarke. “He described them as involving him having to burn a £50 ($75) note in front of a tramp (homeless person),” the acquaintance explained.